“Why should I bother paying for a survey when I can learn so much about my audience from social media?” It’s a fair question, and one I get asked a lot. These days you can pose a question to your audience on Twitter or Facebook for free and get insta-feedback. You can use a range of tools to analyze who’s following you. Social media can offer rich audience insights — but, those insights are limited in several critical ways. 1. Capture precise audience data – With a survey, you can target a specific audience and ensure that the respondents represent the larger population you hope to reach. A professional survey also allows you to project with more precision than social media what the audience you’re targeting thinks or how they’ll behave. The general American public? Sure. People who are the primary grocery shopper in their household? Yup. People with at least a Bachelor’s degree? Roger that. 2. Gain a more solid basis for business decisions – I advise clients to get the lay of the land on social media — see what key influencers are talking about, what’s trending, what’s getting shared — and then supplement that contextual understanding with solid scientific insights that a professional survey can provide. 3. 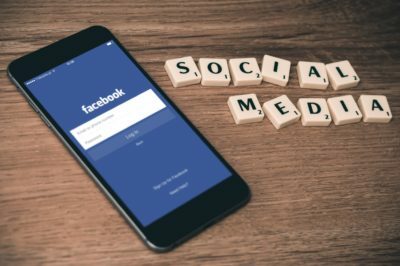 Reach those who aren’t active on social media – It’s also important to keep in mind that as ubiquitous as social media seems, it is not in fact a representative sample of the American population (and certainly not the global population, if your business is global). For example, according to the Pew Research Center, 68 percent of American adults use Facebook, which of course means that more than 30 percent do not. And only 21 percent of Americans are on Twitter. Unless your product is intended only for social media users, you definitely need to look beyond social media for audience insight. I am a big fan of using social media in conjunction with surveys. A trend on social media can surface a topic for a survey to explore further. A quote from social media can help illuminate a data point and make survey results “pop.” It’s just important to recognize the limitations of the audience insights you glean from social media. And of course, when you’re ready to design your next survey, I’d be thrilled to be your partner.